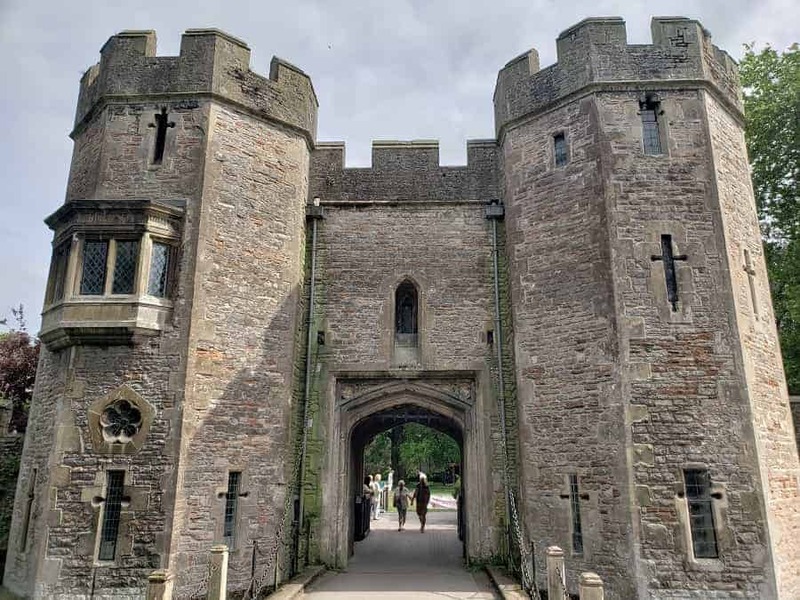 If you are planning a trip to Somerset England, you will have plenty of things to see and do. 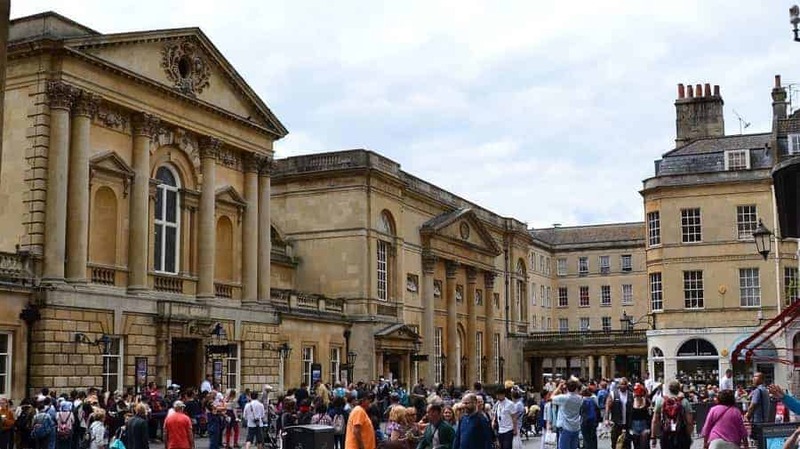 Most people make Bath a top priority, but there are a few other places you really should visit in the area as well. 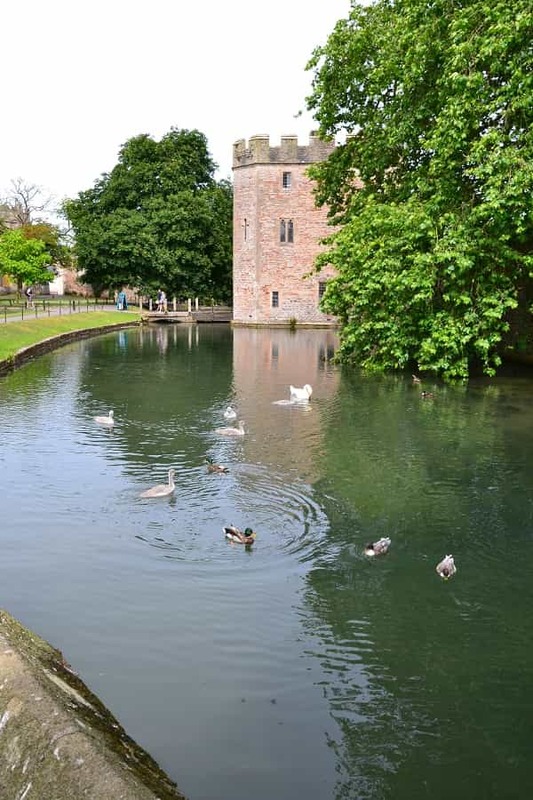 Some great day trips in Somerset besides Bath include Cheddar, Wells and Glastonbury. If you have two days in Somerset, you should be able to see all four places adequately. You will want one full day in Bath, and another day to split between Cheddar, Wells and Glastonbury. 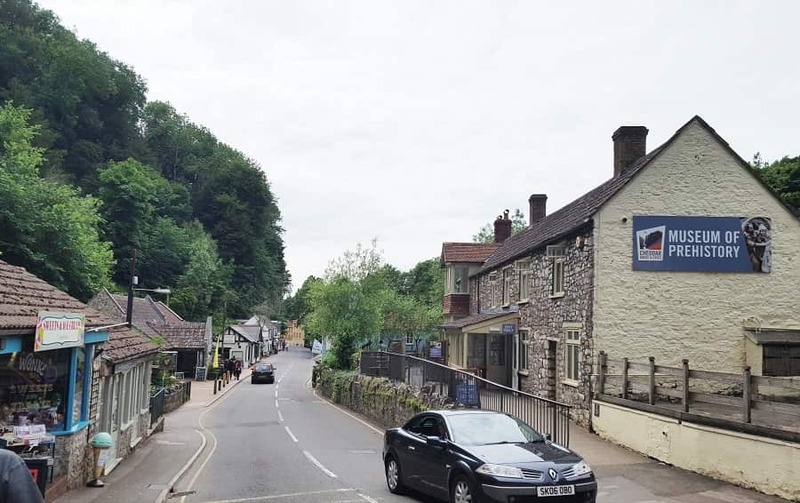 he drive to Glastonbury is about 1.5 hours, but since you will stop in Cheddar and Wells, it won’t feel like you are in the car long at all. 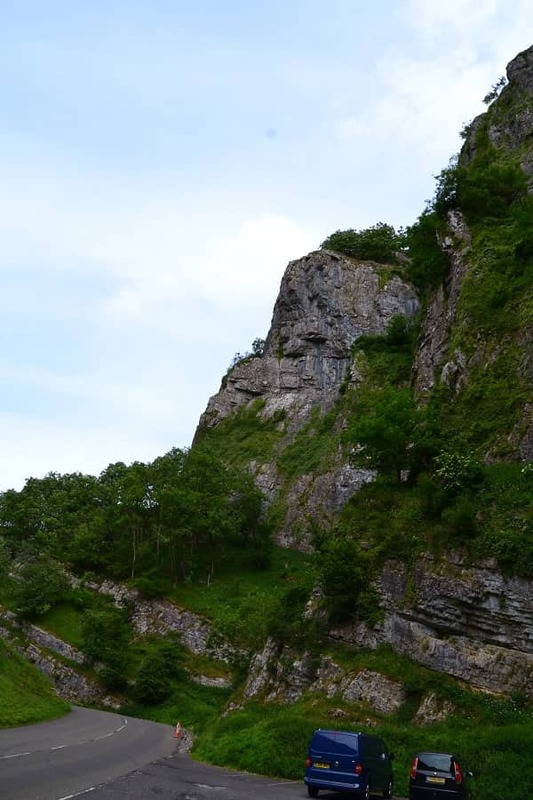 If you would rather break it down into three days, with one day in Bath, one day in Cheddar Gorge & Wells and a third day in Glastonbury, you will have even more time to explore. Just plan to stay in Bath one night and then stay in Wells the second night. A trip to Somerset will bring you first to the town of Bath. This historic Medieval town was declared a UNESCO World Heritage Site.Wondering what you can do while there? 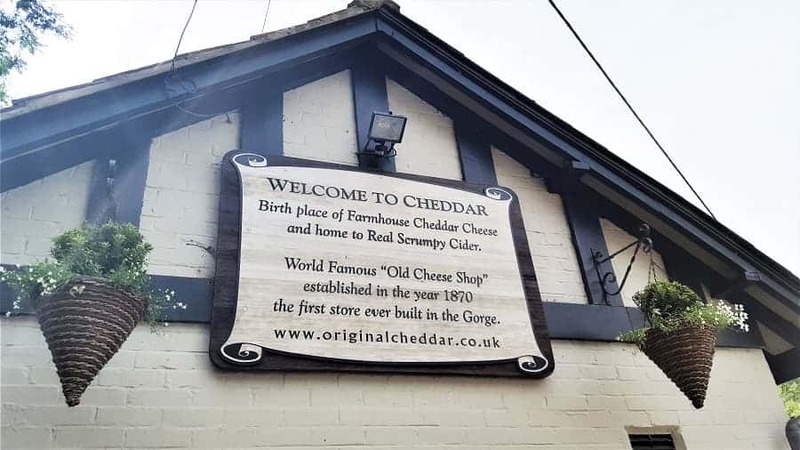 The town of Cheddar is something you will want to fully experience. This cliff-side town boasts being known as the origin of cheddar cheese and for having Britain’s highest inland limestone cliffs. While quite impressive from the outside, what is also impressive are the stalactite caves that lie under the cliffs. 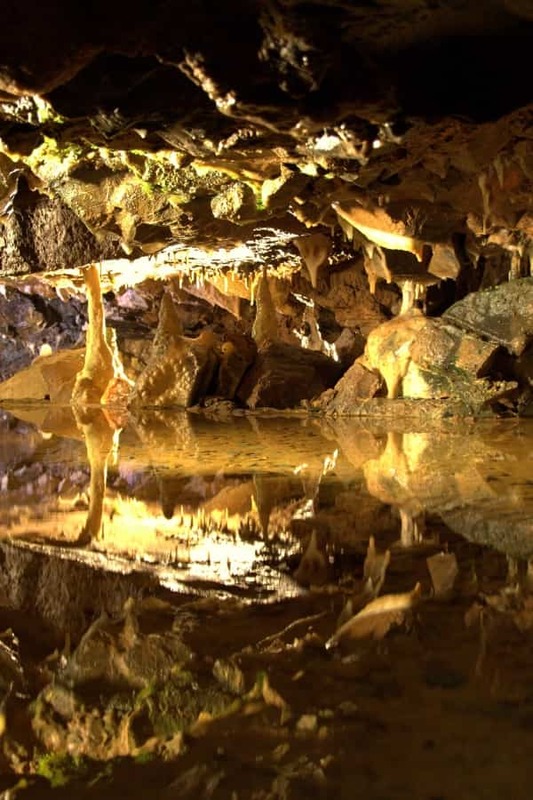 Take a tour of Gough’s Cave to learn about its creation during the Ice Age and then spend time exploring all the beautiful natural formations that make up its interior. The town itself is quaint with lots of little shops featuring lots of dairy products including its locally produced ice cream and cheeses. Not to be missed is the Museum of Prehistory where you can learn about the archaeology findings including the oldest, complete skeleton, known as ‘Cheddar Man’, dating back to the Mesolithic Age. One of my favorite hidden gems in England is Wells, which is also the smallest city in all of England. This medieval city has one of the most beautiful cathedrals in England and a moated Medieval palace that was home to the Bishop. 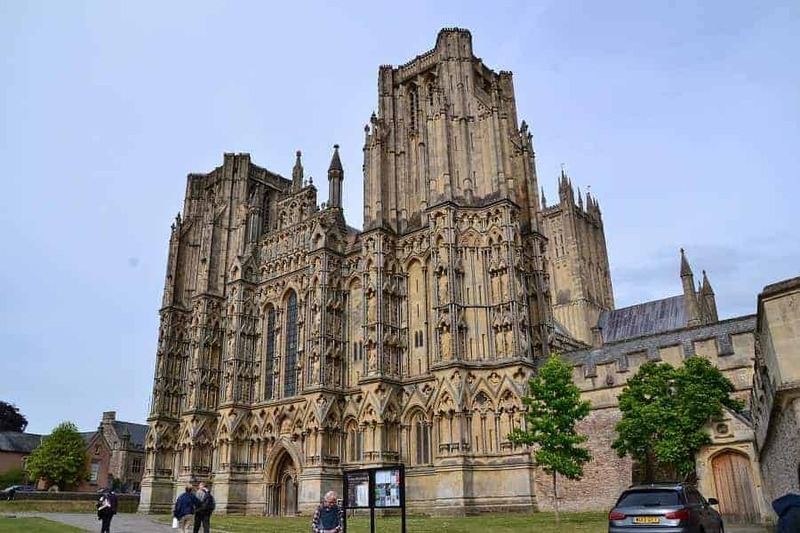 Wells Cathedral has one of the largest collections of historic stained glass in England, some of which dates back to the 14th century. One neat feature to notice is Wells Clock. 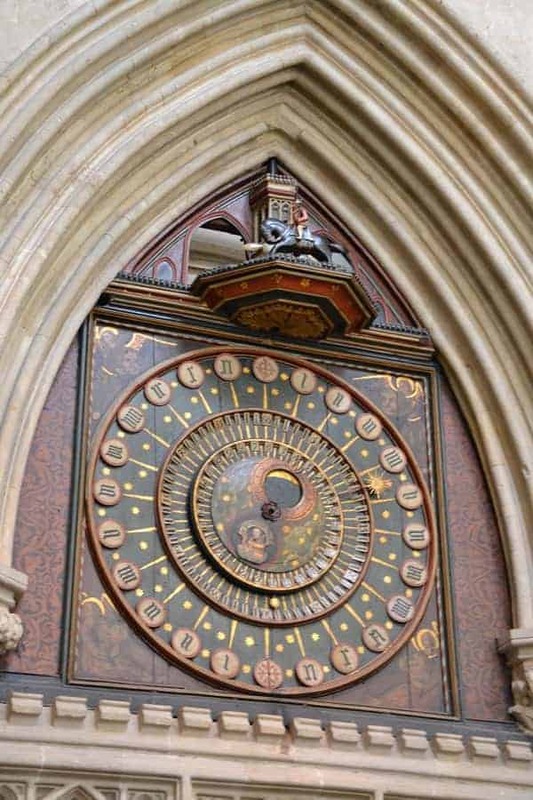 It is the second oldest clock in the UK (with the one in Salisbury Cathedral being the first). While you can explore the inside of the Bishop’s Palace, it is the outside that makes it so special. You would think you were walking to a castle with all the fortifications. The entire palace is even surrounded by a moat. There are numerous gardens, a foot bridge and sculptures throughout the property that you won’t want to miss seeing. 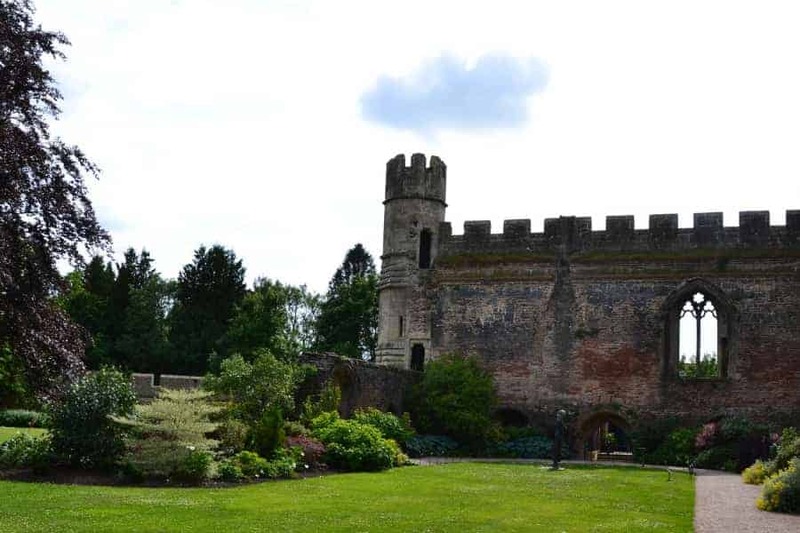 If you want to see a town steeped in mystery and legend, make the day trip to Glastonbury. 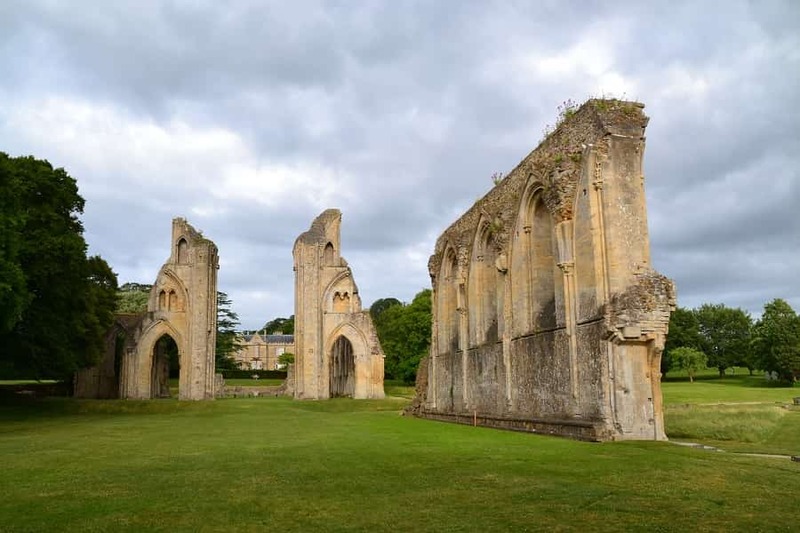 There you will find Glastonbury Abbey, where, according to legend, King Arthur is buried; a heavily regarded spiritual point, Tor, and an eclectic shopping district. 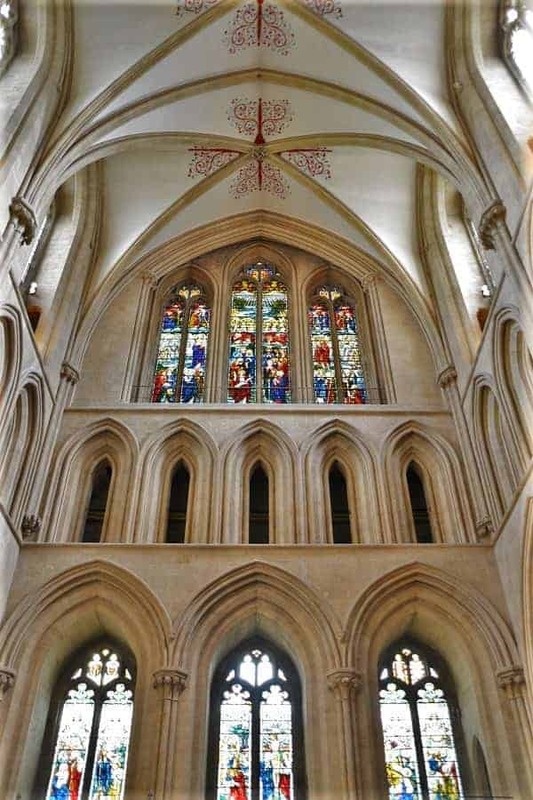 Somerset is a lovely part of England to visit and if you plan to visit Bath, be sure to include these other day trips in Somerset as part of your stay! Have you been to Somerset? What were you favorite things to do in the area?